Does holding a January sale make sense for your business? Whether you have your own shop or are selling through other people’s outlets, here are some tips for a successful sale using Avery We Print signage and labels. Traditionally, January sales have made way for new stock. But you can also use a sale to attract new customers and increase sales, as well as encouraging loyalty and repeat business. You’ll need to get prepared for the January sale before Christmas, so now’s the time to get started. The first step is work out your discount strategy. Everyone expects to see big discounts in the January sales. It’s important to offer your customers great deals through your January sale (usually through percentage discounts, as opposed to multi-buy offers). Bear in mind that most customers will know what your competitors are offering, and they’ll use that knowledge to form their own ideas about who’s offering the best deals. You’ll need to publicise your sale before it starts and while it’s on. Most retailers use the maximum discount to advertise the sale, as in ‘Up to 50% off’ for example. Avery We Print signage is perfect for creating sales posters because the self-adhesive signs do not leave residue on walls or surfaces and there’s no minimum order. These signs are designed to last, with photo quality printing and strong materials. You can choose from different sizes and shapes for your signage. Rectangle signs go from A5 all the way up to A0 (16 x A4). Round signs are 35 cm in diameter, and square signs are 40 cm across. The Online Design Tool has pre-designed templates for all signage; there’s one with a red background which you could adapt for the sale. Need stickers and labels that simply say ‘SALE’? Perhaps you want to show what the price was and is now, or what the discount is as a percentage. Choose from our wide range of labels and stickers. Whichever size or shape works best for you, there’s a choice of materials and low minimum quantities. 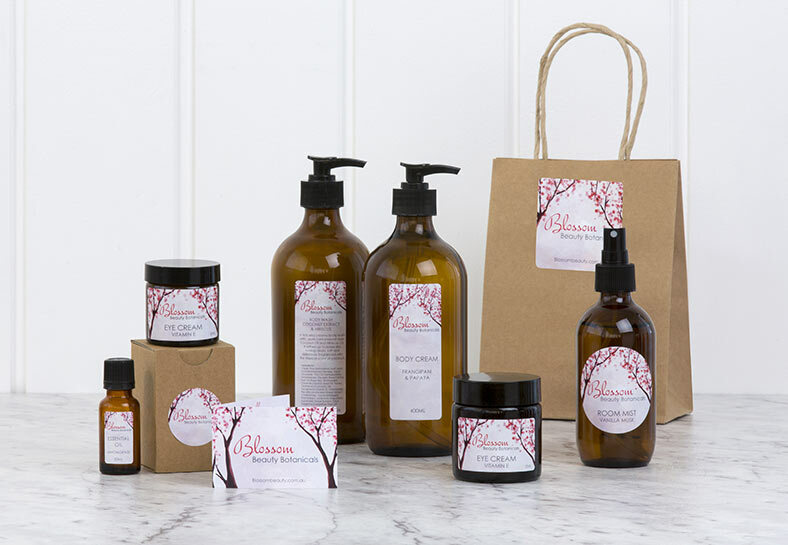 Designing a simple label for your sale which reflects your own branding is easy with the Online Design Tool. And your design can go right to the edge if you want to use a coloured background. Here at Avery WePrint, we find that for pricing labels on products, most people use round and oval stickers. 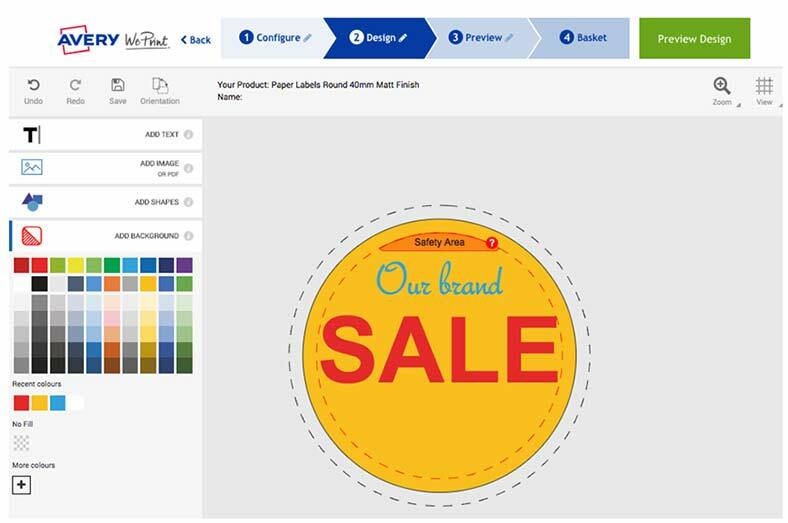 It’s very easy to create pricing labels with the Online Design Tool. You’ll always get a professional finish with Avery WePrint because we use high quality printing and materials. Want sales labelling to come off? What if your sales labels or signs need to come off easily when the January sale is over? In addition to the self-adhesive signage mentioned above, you can make product tags. To make removable product tags, simply use Avery WePrint square or rectangular business cards. All you need to do is punch a hole and thread ribbon or cord through. Over thousands of years, we humans have been programmed to react to red as a sign of danger. Scientific studies have discovered that the colour red tends to grab our attention and make us react faster! This is why it’s the dominant colour when sales are on. To start creating your sales signs and labels, choose the Avery WePrint product you want to customise .